You like her/him? Well that's just natural. But how do you get to tell her/him remains the biggest question for the majority of guys/gals. Since internet is here, approaching her/him seems easy. But hold your crush close to you! It's not as easy as you think and at times we end up doing some really dumb stuff. Here we might help with few tips Do's/Don't to make a good relationship on social media. It's difficult to express love in words, using music and song Videos is good idea, even lyrics as status would do, BUT don't just bombard it and refrain from making it too obvious. Avoid adding her/his friends unless you know them personally Or you have developed a very good understanding with friends through groups or common chat. A girl might think you a flirt or girl stalker if you just keep sending friend request to her female friends, where as a boy would NEVER like his potential girlfriend to mingle too much with his friends. This might give you(girl) a reputation of Too Friendly Type Girl Or the one who is Not So Serious about whom she adds. Actually their idea is very common and there is rarely anything impressive about them. Their humor, emotional etc. are mostly typed. And as a matter of fact no one open them or goes through them seriously. You may think that the sentiment expressed alongside the ironic antique image perfectly describes your situation, but remember that is exactly how Internet humor is supposed to make you feel. Odds are the girl/guy you're pining for has already seen it and thought it wasn't that funny. Or even worst, they (your Crush) might think it's Facebook App generating cards for friends on their own. Trust me it's awesome to have some one around who has great sense of humor. 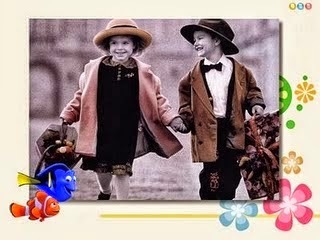 Be it a girl or a boy they like the company of humorous person. Girls think boys with good sense of humor are intelligent and boys think that a girl with sense of humor is some thing 'Not So Common' (so already have a uperhand), as most of the girls are considered sentimental fool over flowing with emotions. It's obvious, if the photo is more than a month old, you would have gone out of your way to find it, or it was the result of a night of aimless. Naturally it makes it obvious that you are stalking their profile. One can do that at letter stage where both are like best friends Or very good friends and you want to make him/her realize that your mind is little more occupied with their ideas. But remember a girl would never like you to comment or like her photo in the one she is not looking good. Don't ever befriend your crushes family members, she/he will easily sense tension and drift away, and you don't want that. And if by chance her/his family memebrs are in your list because you are acquainted with them avoid chatting to them on personal matter just keep casual. Every one like to have their space, never make a impression of being too nosy. Don't ask too much personal questions. It's good to be concerned but unwelcome show of concern gives the impression of intruder, intruding in their personal life so if she/he is worried, tensed or sounding depressed don't force them to speak up unless they are willing to be heard. For gods sake isn't Facebook and Twitter already not more than enough that you now want to hook her/him up on Linked In as well. Always keep at bay from trying to add your crushes on your Linked In and other professional social media outlets; these are professional networking spaces, not daily routine chat rooms. There is no quicker way out of a one's heart than disrespecting their career ambitions. Oh god! No you didn't. Never ever dare to like - change in relationship status or heart broken updates. Even if you have generous intentions, it will convey following things - you are stalking her/him and you are just too happy that their broke up. Your crush is feeling broken and vulnerable because just ended a long relationship. And the best thing you can do is keep your distance, and ask them to move on as this is a part of life. Poking till date remains the worst social media feature, especially on Facebook. It's just utterly aims less and usually used by people who are banned to send friend requests to strangers. Poking her every next while will get her raged up and if this happens, your friend request is sure to rest in peace.